Discussion in 'General Discussions and Lounge' started by AF-Roger, Nov 2, 2015. 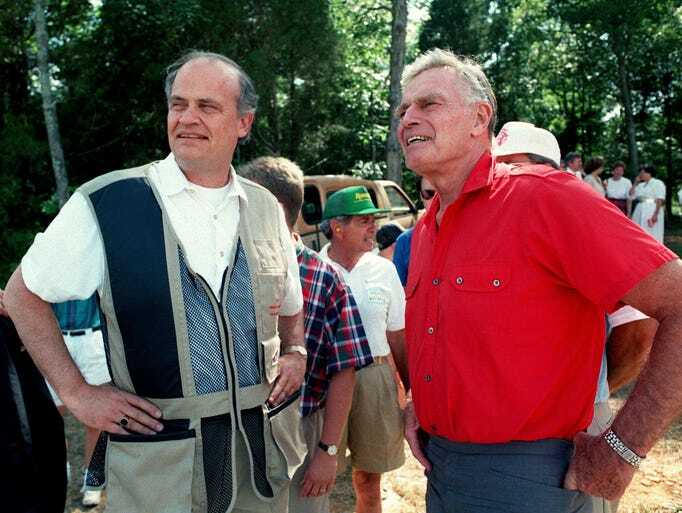 Fred Thompson, a former U.S. senator from Tennessee, GOP presidential candidate, Watergate attorney and actor who starred on the television drama "Law and Order," died on Sunday in Nashville. He was 73. Mr. Thompson died after a recurrence of lymphoma, according to a prepared statement issued by the Thompson family. Mr Thompson, who had recently purchased a house in Nashville to return to Tennessee, was first diagnosed with cancer in 2004. "It is with a heavy heart and a deep sense of grief that we share the passing of our brother, husband, father, and grandfather who died peacefully in Nashville surrounded by his family," the Thompson family's statement reads. A unique actor with some chops.